Mindfulness Series Begins in September! Each class will include mindfulness teachings, sitting meditation and body scan and other mindfulness practices. 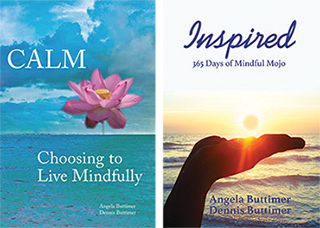 Participants will receive their choice of our book, CALM: Choosing To Live Mindfully, or a copy of our CALM Guided Meditations CD and weekly handouts and research information.